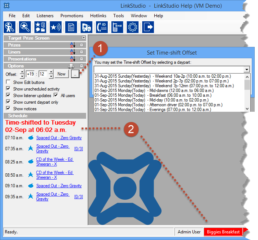 Time-Shifting is a critical piece of functionality allowing the user/announcer to complete tasks outside of the real time “live” environment. Having the ability to complete assigned tasks when voice tracking, or to complete tasks retrospectively is vital. 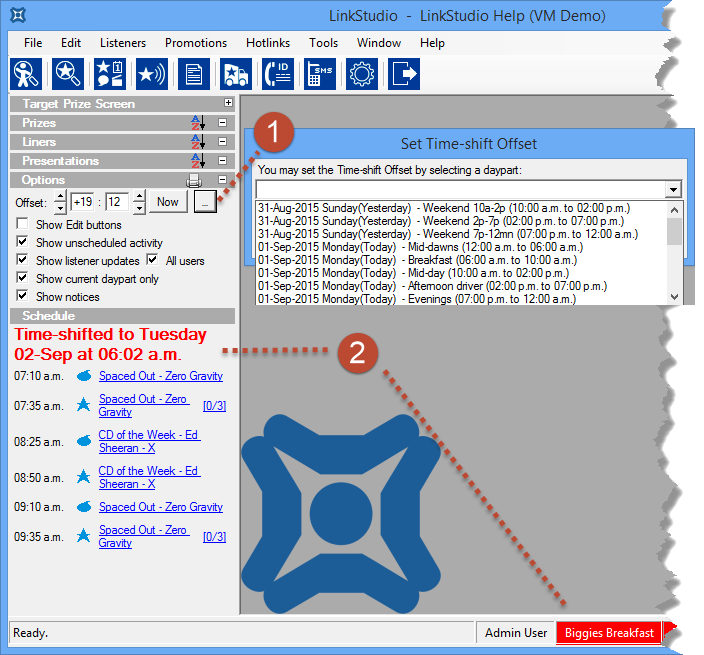 While in time shift mode, the user is required to confirm the intended broadcast time of the task, additionally the main screen displays appropriate warnings that LinkStudio is no longer operating in real time. An audit trail report confirms relevant schedule information, for example; when the task was scheduled through to the date & time the task was confirmed as being broadcast (this date & time is also recorded).